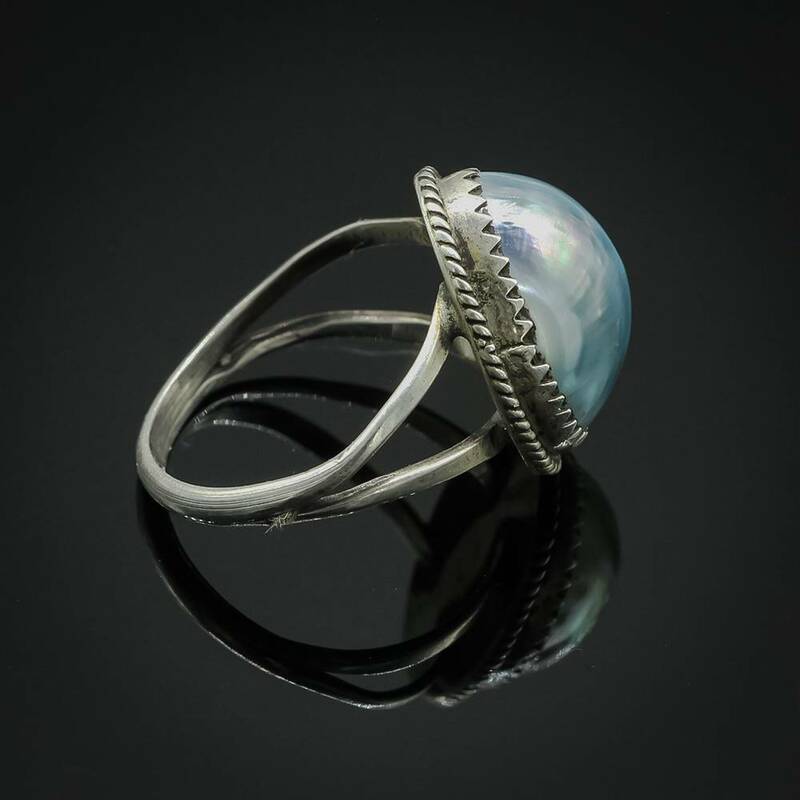 Size 9 Silver & Freshwater Pearl Domed Ring. Ring Face Measures 5/8" x 3/4". 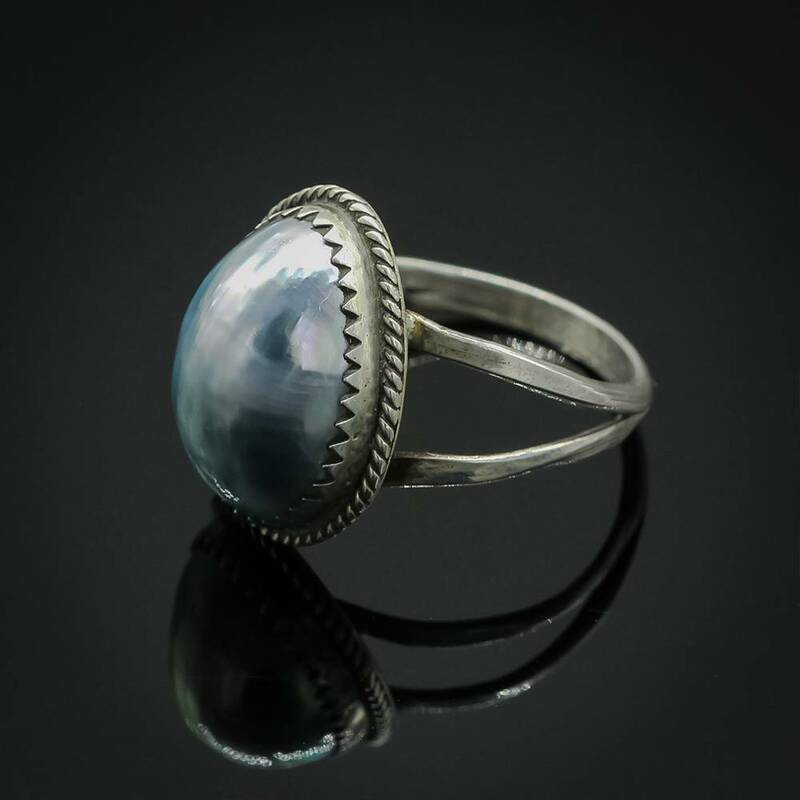 A silver grey cultured freshwater pearl with silver sterling band. 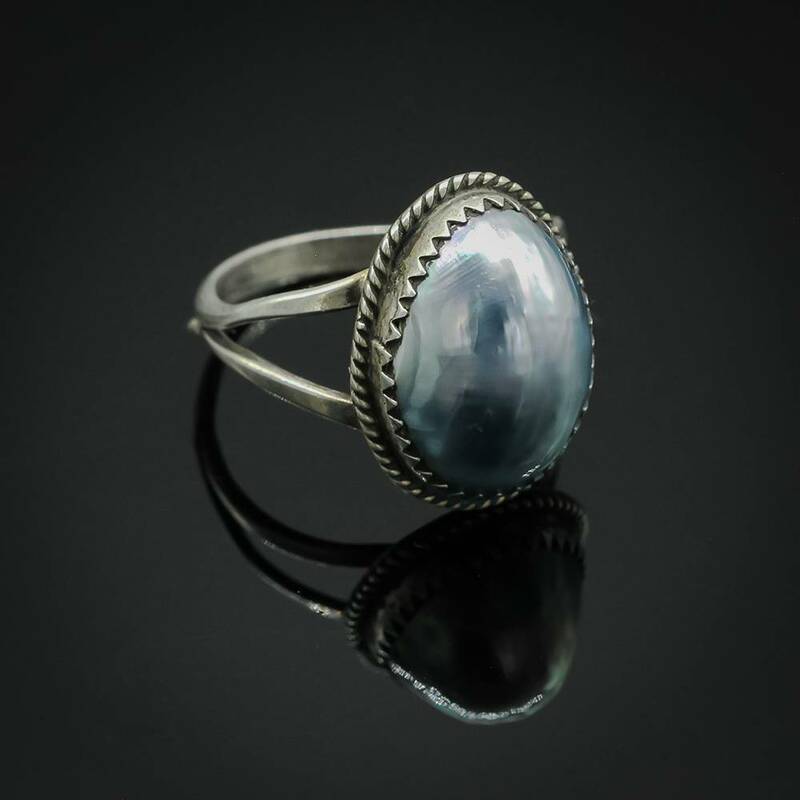 This gorgeous ring captures the spirit of the southwest with an elegant display of the artist's mastery of Native American design.